Learn what is the best options for rifle bipods. 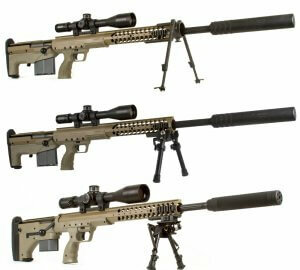 Complete article here The choice in bipods run the length of this discussion. Everyone has their favorite, and no two people will recommend the same model, as it should be. The bipod needs to fit the type of shooting you do. What works for the F/TR shooter will not work for the PRS shooter. If you shoot off obstacles or barricades, take your rifle into the hills to hunt, you might not want the big, heavy bipods designed to work on a magnum. 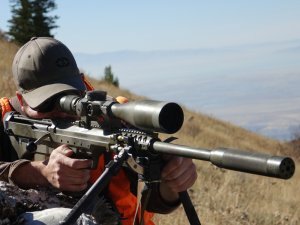 Before choosing a bipod you have to consider the rifle and the intended use. This is key. Next look at your Budget, as these bipods can go from $600 down to $90.00. While some people may say, the $90 option works for them, you have to consider the context. If a Harris is good enough for you, great, end of discussion. The Harris has been around a very long time, it’s proven tool, with a lot of aftermarket options to help fix some of the shortcomings of the design. But that doesn’t mean, for the guy who wants to shoot beyond 1000 yards from the prone is best served by a Harris. Atlas, Harris, Elite Iron, Long Range Accuracy, GG&G, Versa Pod, Sinclair, Phoenix Tactical, the list is long, and honestly, I can go on given enough time. Next, let’s look at the design features we want to highlight. Durability is a big issue, which is why we never recommend a knock off. The bipod takes a lot more abuse than you might realize. Recoil from the rifle punishes the bipod and over time can wear it out. Next is leg height, you need the bipod to be tall enough to fit the shooter and their type of shooting. Universally a bit taller is normally better than too short. You can adapt to more situations with a little extra height. With this leg consideration, also think about the feet. Different feet styles fit different shooting scenarios. Some of these bipods have the ability to change the feet out without the use of tools or destroying the original design. For recoil management some people like more aggressive feet. Along with design features, we have to touch on aftermarket options. Today we have a lot of aftermarket options to enhance the standard bipod design. From new legs, to feet, to extension that are added to the bipod. Don’t overlook these options to help you increase the effectiveness of your bipod choice. We can improve on almost everything as very little in the precision rifle world fits every situation. Context matters. Leg Positions, a wider stance on the bipod is going to be more stable. It’s why you see F/TR bipods having such a wide stance. They are wide for a reason. It’s also about the focal point of the legs. Traditional bipods that mount under the stock, putting the focal point under the barrel. We have found that accuracy is better served with the focal point over the barrel. Picture a triangle. With the focal point at the peak of the pyramid, you have “X” accuracy. With bipods like the Elite Iron, LRA, And Atlas 5H, you have the barrel inside the triangle. This helps increase stability and improves accuracy. For prone shooting, ELR shooting, you are better served with this design, especially when maximum accuracy is important. I also like the ability to move the legs both forward and back. There are a lot of situations where this is a desirable feature and I can tell you, I have used them in both directions to great success. It’s situational, but when you need it, its better to have it than not. For a field shooter or PRS Shooter this can make a huge difference. Do not discount the benefits of getting a bipod with Pan and Tilt features, especially for field shooting. These features help you line up and level the bipod on uneven ground and I find it a very important feature. Another important factor for me is notched legs. It’s really hard to level the feet when there is no notches. Notched legs are worth every penny. Weight is also a big consideration. We do a lot to reduce weight with both field rifles and PRS competition rifles. If you are shooting on an F-Class Range, you are not carrying the rifle, you can go as heavy as they allow. If you are a square range shooter, or don’t find yourself moving over great distances with your rig, go heavy. If you carry it, light is right. Attachment points, how you attach the bipod is another important consideration. Pic Rail, Sling Stud, these are the two most common attachment methods. I don’t like adapters, I would rather have a bipod dedicated to each type before I will invest in any kind of adapter to make it work. They loosen up, the move the focal point down, they annoy me. Buy once, cry once. Don’t take shortcuts when it comes to investing in a bipod. This is an important part of the rifle system. 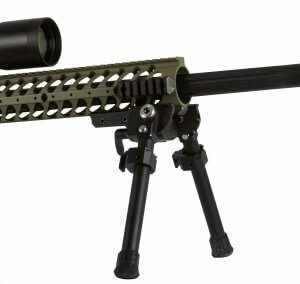 You can move the bipod from rifle to rifle, so invest in one that gets the job done right.